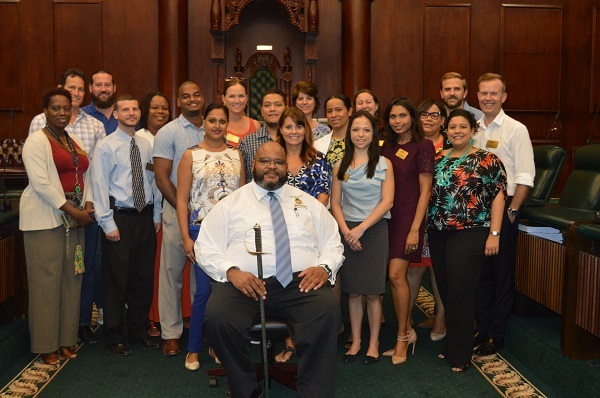 The objective of the programme’s sixth seminar was to provide an overview of the governance structure of the Cayman Islands, as well as reviewing the impacts of the implementations of the revised National Pensions Law, e-Government and Civil Service 5-year Strategic Plan. The afternoon began with a tour of the Legislative Assembly, which was led by Mr. John Kim Evans Jr., current Sergeant-at-Arms. He explained what his role was, and further explained the function of government in the Legislative Assembly. The three government representatives comprised the guest panel for the evening seminar, engaging in discussions with the class about the importance of government, and the challenges it faces. “There is a continual need to develop, grow and foster quality leadership from the youth, and I thoroughly enjoyed partaking in the seminar and spreading the knowledge on my topic heading,” he added. Class members Jamaal Anderson and Suzanne Klein acted as moderators for the seminar, with support from programme graduate and seminar mentor Nicholas McLean. 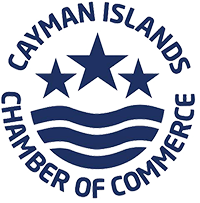 The Chamber would like to thank Cox Lumber Ltd. and RBC Royal Bank (Cayman) Ltd. for supporting Leadership Cayman as major programme partners. They would also like to thank Logic for serving as the evening’s seminar partner. The class will next meet on Wednesday, May 2 for the ‘Human Services & Healthcare’ seminar.